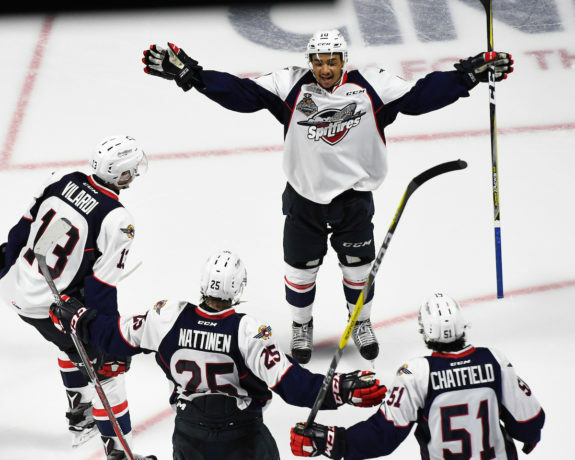 When the Windsor Spitfires drafted forward Josh Ho-Sang fifth overall in the 2012 OHL Draft, they envisioned a kid who was going to lead their club to new offensive heights. Instead, he became part of one of the most talked-about trades over the last 10-years. From the moment Ho-Sang stepped onto the WFCU Centre ice, he was in control. After 79 points in 30 games for Toronto Marlboros Minor Midget in 2011-12, Ho-Sang promptly put up 44 points in 63 games for the Spitfires in 2012-13. There was always something surrounding Ho-Sang, though, and wasn’t sitting well in the hockey world. The NHL and Team Canada had taken notice, and so had the Spitfires. Despite productive totals in just over two seasons, and being a New York Islanders’ first-round pick in 2014, something was amiss. It bubbled and brewed until it finally boiled over. On November 14, 2014, the Spitfires dealt Ho-Sang to the Niagara Ice Dogs. In return, the Spitfires received power forward Hayden McCool and second-round picks in 2016, 2017 and 2019. McCool was just a year younger than Ho-Sang. Reactions were mixed among Spits fans. How can a team trade a kid who had 85-points the year before? Sometimes, hockey isn’t just about points. When the Spitfires brought in McCool, he wasn’t expected to duplicate Ho-Sang’s point totals. McCool was a top-10 pick by Niagara in 2013 but was considered more of a power forward than a sniper. He used his 6’3” 202lb frame well and scored 28 points in 47 games for Windsor following the deal. In 2015-16, he tied his career high from the previous season with 15 goals. McCool’s numbers slipped in 2016-17, mainly due to being in a different role on the club. However, he has proven to be a valuable asset to the team. While McCool was a big piece in the trade, the picks were key. What happened to them? The second-round pick in 2016 was used as part of an April 2015 trade between Windsor and Sarnia. The Spitfires sent the second-round pick to Sarnia, along with Windsor’s third-round pick in 2017, for Barrie’s second-round pick in 2017. Windsor used that to draft defenceman Kyle Auger. However, Auger was later dealt to Barrie with Finnish-import forward Julius Nattinen coming to Windsor. Nattinen had 38 points for Windsor in 2016-17, plus four more points in the Memorial Cup. The 2017 second-round pick was also big for Windsor during their run. It was part of a package to bring forward Adam Laishram from Hamilton. Laishram became a fan favourite with his energy, physical play and work on the penalty kill. It was the 2019 second-round pick, though, that may have been the biggest for Windsor. They used it to acquire veteran forward Jeremiah Addison from Ottawa in August 2016. Addison scored 24 goals for Windsor during the 2016-17 regular season but was clutch in the Memorial Cup. His hat-trick against Erie in the final round-robin game sent Windsor to the Memorial Cup final, where they defeated Erie again. Trades have a lot of intricate parts and, in the OHL, you never know how far a draft pick will travel before being used. 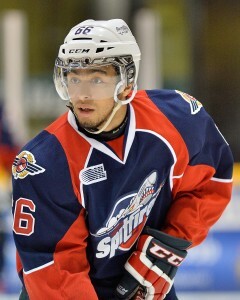 When the Spitfires dealt Ho-Sang, they got picks that became essential to their Memorial Cup run. While it will take time and creativity for Spitfires’ general manager Warren Rychel to recuperate those picks, it’s safe to say that emptying the cupboards was worth it. Meanwhile, Ho-Sang played a season-and-a-half in Niagara, twice going deep into the post-season. He had an 82-point season for Niagara in 2015-16, eventually losing to London in the OHL final. His offence was significant for the Ice Dogs and he is now developing his craft in the New York Islanders’ system. Despite the complex nature of the trade, this deal looks like a winner for both teams.